Are you wanting to sell your story to a newspaper? National newspapers are always on the look out for strong and interesting stories. There are a huge range of stories newspapers are interested in, ranging from those surrounding issues and injustice to stories about weight loss and love. Newspapers are keen to help individuals who need to raise awareness of what is going on in their lives. If you’re interested in finding out how to sell your story to a newspaper, email us on [email protected] or fill out the sell your story form on the right. How much do you earn when you sell your story to a newspaper? This all depends on the story you wish to sell to a newspaper, but we can help advice on what sort of fee you’ll get. A lot of people who wish to sell their story to a newspaper tell us its not about the money. It’s about being able to have a voice. What is it like when your story appears in a newspaper? Well, you must remember that newspapers have huge circulations and read by millions of people. Don’t imagine that no-one will see it, as someone you know will see the story. But it can be hugely rewarding to see your story in a newspaper. It tells you that your story is serious and newsworthy enough for a newspaper to be paying attention. What if my story has appeared in a newspaper without my permission? If you’re going through a court case, then your story can appear in a newspaper without your permission. 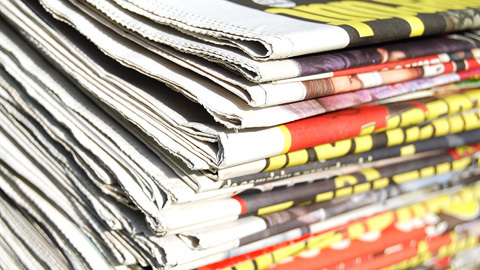 Contact us if a newspaper has printed a story about you – we may be able to help. Click to read more about how to sell your story to a newspaper.